For the first time since 2012 the independent opinion research institute United Research carried out a trend survey of building contractors, wood and floor laying professionals commissioned by Floor Technology. 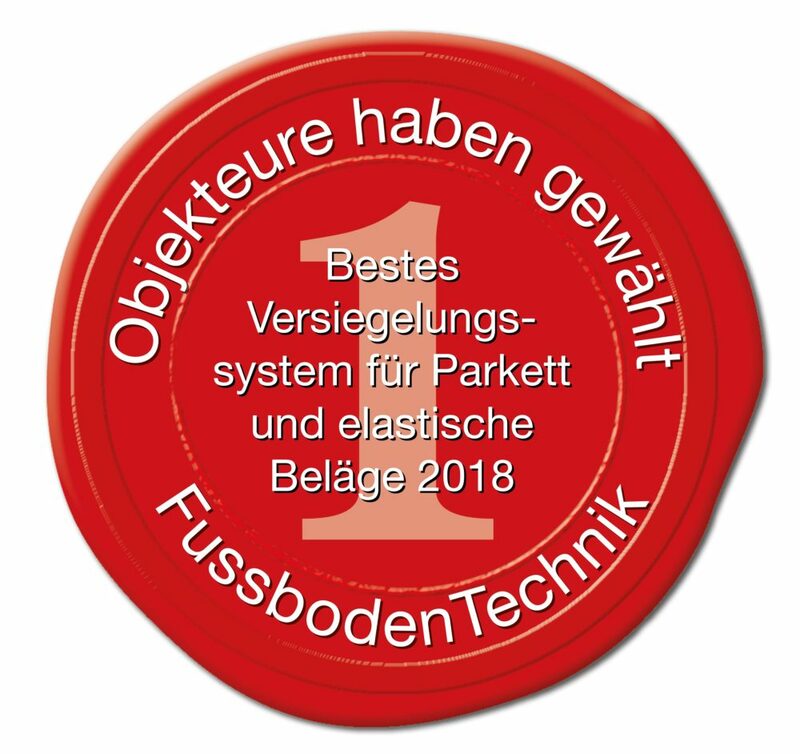 In this trend survey Dr. Schutz was able to secure first place in the category “Best Finishes System“ for wood and resilient floors with PU Sealer. That’s why all floor professionals love PU Sealer from Dr. Schutz! 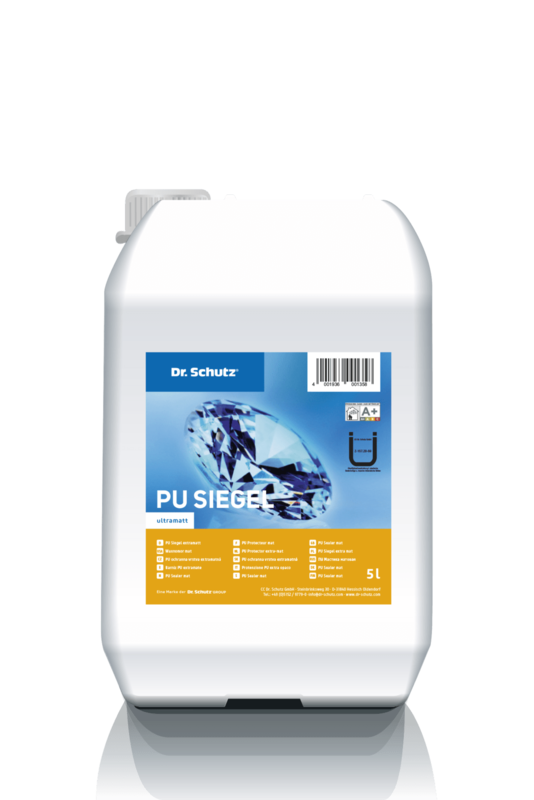 Dr. Schutz PU Sealer was voted everybody’s favourite again and is ranked first among all floor finishes in Germany nationwide. 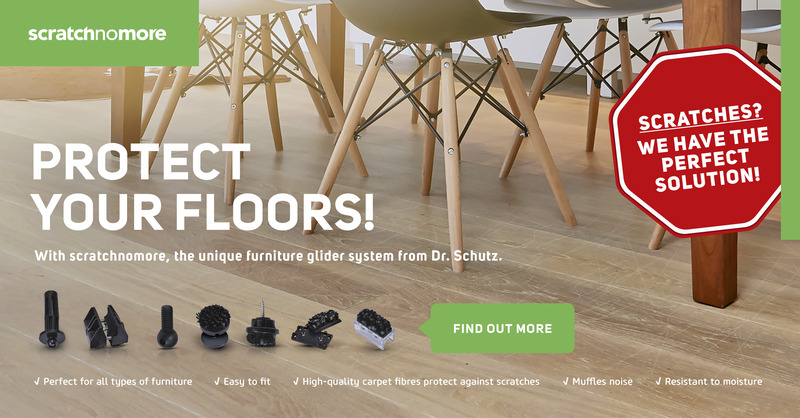 What is decisive for the success of Dr. Schutz PU Sealer is the perfect combination of three essential factors: the optimal interplay of product, imparting competence and marketing tools for floor professionals. The product from Dr. Schutz owes its success to its safety. No other PU sealer is so safe and easy to apply as the winner of the survey. This highest quality standard is the result of decades-long market experience, with by now over 50 million square metres of sealed floors worldwide. 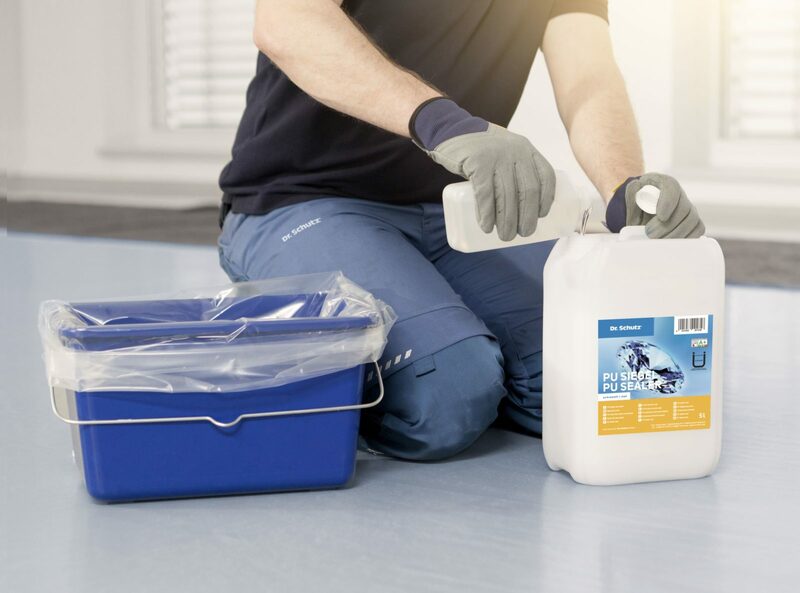 What is more, floor professionals appreciate the universal applications possible with Dr. Schutz PU Sealer: it can be ideally applied to all resilient floors, on epoxy, wood, stone, PU-floors and screed floors. However, the best product only develops its full potential in combination with the most competent floor professional. The Karl Schutz Academy, as well as many other academies worldwide, ensure the optimal preparation for Dr. Schutz product users, with a range of training courses, including certification, during the whole year. Furthermore, numerous expert advisors lend their support to professionals on site: hand in hand for perfect results, which always ensure maximum satisfaction for commercial end users. Last but not least, Dr. Schutz team makes it possible for floor professionals to generate the highest possible added value from their activities by means of a variety of customized marketing instruments, including the Dr. Schutz Collection, the floor remake landing page and video, as well as many well thought out support tools. On 6th June 2018 the Dr. Schutz Group from Bonn won first place in the German Innovation Awards in the competition category »Excellence in Business to Business (B2B)« . The price was awarded for the company’s innovative „Floor Remake System“ in the area of »Materials & Surfaces«. A total of 88 companies were nominated in this category. “This great form of recognition of the innovative strength of our enterprise fills us with joy and pride in our team’s performance in all areas of the Dr. Schutz Group. This particular nationwide award proves yet again that the themes of sustainability and saving resources, which the Dr. Schutz Group has followed intensively for years, are absolutely in the trend of our times“, said Dr. Lothar Schutz, proprietor and Managing Director of the group. Floor Remake is a system for the sustainable renovation of PVC, linoleum, rubber, stone, epoxy and other hard floors. The system consists of PU Color and a transparent top coat (PU NEO) and functions in three steps: 1. The floor is sanded and strip-cleaned. 2. After it has dried, the floor is lacquered with PU Color. Numerous techniques make it possible to create an individual design. 3. Finally, the floor is protected long-term with PU NEO, the first transparent floor coating free of solvents and isocyanates world-wide. »This system, which can be applied to practically all kinds of floor, is an attractive and at the same time economical alternative to tearing out old floors, followed by laying new ones«, explained the jury as the reason for their decision. With the German Innovation Award the Design Council has closed a gap in the award landscape. They are looking for product innovations with impact. Many companies were nominated, among them industry giants, as well as hidden champions and start-ups. Prizes are awarded to innovations which show a sustainable effect. The German Innovation Award is not given to mere novelties, but rather to innovations which are proven to generate added value for the user. The German Innovation Award is given in two competition classes : #1: Excellence in Business to Consumer and #2: Excellence in Business to Business. In a total of 40 categories the jury was able to confer the awards of Gold, Winner and Special Mention. The products varied from a bionic glove to cleaning technologies, fibres for 3D-printing, an e-vehicle charging station to an Internet-of-Things platform. The assessment criteria of the German Innovation Award include themes like the level of innovation, application uses and economy. The innovation strategy should take into account aspects such as social, ecological and economic sustainability, as well as the use of energy and resources. Also factors such as the potential for locations and employment play a decisive role in the jury’s deliberations, along with longevity, market maturity, technical quality and function, materiality and synergy effects. A highly qualified jury decided on the winner – among them physicists, patent consultants, I.T. experts, financing specialists and product designers. »That is how we guarantee an individual, neutral and professional assessment«, emphasized Professor Kupetz, the head of the jury. 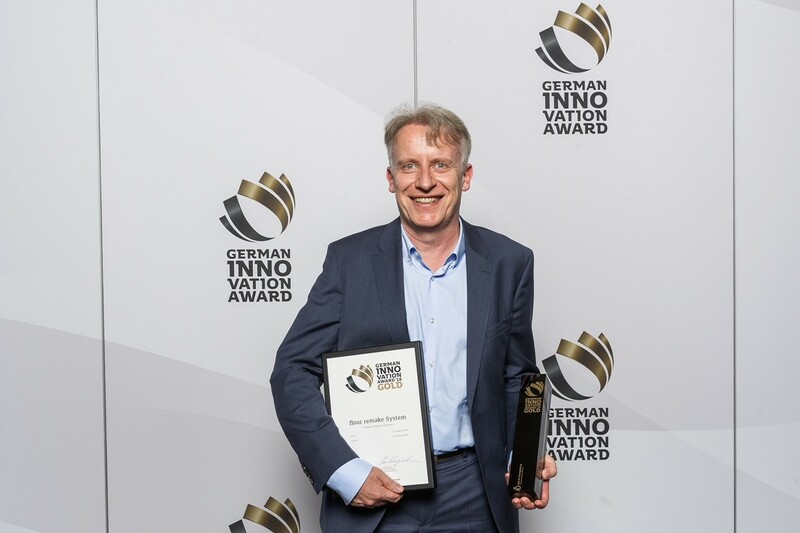 The German Innovation Award was initiated and is implemented by the Design Council, which was established by the German Parliament (Bundestag) in 1953 and was funded by the Federation of German Industry. For the past 65 years the Design Council has pursued the objective of supporting the competitiveness of German enterprises. With its competitions, exhibitions, conferences, seminars and publications it makes a decisive contribution to the transfer of knowledge all around the themes of design, innovation and brands. Over 300 enterprises, both domestic and foreign, currently belong to the funding circle of the Design Council, which provide jobs for more than three million employees. Here is the name “what-you-need“ program: under https://www.dr-schutz.com/en/dr-schutz/professional/calculation-support/ a new and especially practical tool is being offered for floor-laying professionals. With very few clicks the individual needs for coating products with matching equipment and utensils for every building can be calculated there with guaranteed perfect results. Details about the type of floor, the area and the desired product system are sufficient – no sooner entered than the user receives an exact listing of all the articles and quantities which are needed for the renovation measures in that specific building. So the construction site will be successful with exactly the material which is necessary. Super practical: the list with the necessary material can conveniently be printed out by the user directly from the Online-Tool, or can be sent directly by e-mail to his wholesaler. Step 1: Here you choose the relevant floor situation. The flooring professional can enter details about the type of floor and surface structure he has to deal with. Step 2: Here you choose the desired coating. The flooring professional can now choose between all the coating systems available for the floor in question. What is on offer ranges from the classic Dr. Schutz PU Sealer, PU Color, PU Anticolor, through PU NEO (the new green alternative) to ESD coatings, to name but a few examples. Step 3: Here you choose the desired gloss grade and the required additives, for example the R10, R11 or the duro plus Add, the latter for even higher scratch resistance and increased matting finish. Then enter the square metres of the construction site and the calculation has begun. With regard to equipment and utensils, we differentiate between things necessary for the system and recommended machines, tools, etc. Our recommendations make work easier and provide economic advantages, while the necessities for the system are essential for a flawless and long-lasting result. Of course we were mindful of responsive design when programming the “what-you-need-calculator“, so that it can also be used practically and efficiently at any time on smartphones and tablets. Are you interested in the “what-you-need-calculator“ and would like to try it out yourself? The new year began for the Dr. Schutz Group with the introduction of a whole range of new products and unique innovations; among them our PU NEO – the world’s first ecological PU sealer without solvents or isocyanate – which has the same properties as our classic Dr. Schutz PU Sealer. You can find out more about PU NEO from our product flyer, which is available for you to download right away. Furthermore, we are pleased to be able to offer you a brochure about our new eukula premium hardwax oil+ modular system (“Perfect for the Professional“), as well as an information folder about Dr. Schutz HardWax Oil+ especially for do-it-yourself customers. In the last few years over 40 million sq.m. of floors have been successfully renovated and protected with the transparent Dr. Schutz PU Systems. No matter whether hospital, school or hairdresser’s salon – for every floor there is an optimal solution available from Dr. Schutz. Our new brochure “The perfect solution for every floor” presents an overview of the Dr. Schutz systems, the possibilities for using them and their technical effectiveness. NEWS: New brochure "Design Floors & Maintenance"
As usual at the start of the year the DOMOTEX in Hanover brings all the important companies in the floor industry together, presents innovations from all over the world and invites visitors to talk with experts and business managers. We shall be there again, too, and we’re bringing some exciting new ideas. Don’t miss the opportunity to find out about the numerous new products from the brands of Dr. Schutz, eukula and scratchnomore. NEWS: An easy start to springtime! The days are getting longer and the weather is getting better – time now to spruce up the terrace for the warm season. Using easy care makes light work of looking after your terrace! This care-emulsion provides UV-protection and increased resistance to chemicals, extends the interval till the next oil treatment and can also be used to impregnate untreated wood. Is a basic strip and clean needed? At the outset of the new year the Dr. Schutz group proudly presents the new websites of its Dr. Schutz, eukula and scratchnomore brands. Besides lots of exciting new content, the three sites contain dedicated areas for professionals and retailers, as well as for architects and end users. In this way each of our partners can easily access exactly the information they require. We wish you lots of fun browsing! Just like every year Dr. Schutz will be present at Domotex in Hannover (17.-20. January, hall 7, stand B 26) and at Bau in Munich (19.-24. January, hall A 5, stand 238). Lots of exciting new innovations from our Dr. Schutz, eukula and scratchnomore brands will be on display, so don’t miss this great opportunity to visit us.